An original musical exploring the relationship between John Watson, Professor Moriarty, and the iconic 'Consulting Detective' Sherlock Holmes - all created through the genius of Sir Arthur Conan Doyle. Book, music and lyrics by Jami-Leigh Bartschi. Please Note: Due to the intimate size of the Black Box Theater, late seating cannot be accommodated. Please plan to arrive at least 20 minutes prior to show time. * The performance on Sat., Jun. 16 will have an ASL interpreter. More details: This play, which originated in Central Florida, made its Off Broadway New York Musical Festival debut in 2017, is making a special return engagement to Orlando with new material added to the show. 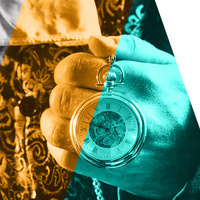 Set in the late 1800s, the play explores the relationship between John Watson, Professor Moriarty and the iconic “consulting detective” Sherlock Holmes. Bartschi’s musical combines plot elements and characters from several of Sir Arthur Conan Doyle’s Sherlock Holmes stories in an original format. Bartschi is a playwright, musical director, composer and music educator who lives in Longwood. She holds a bachelor’s degree in music and a master’s degree in liberal studies from Rollins College. John DiDonna, who has directed the musical and played the role of Sherlock Holmes in Central Florida and on the New York stage, returns to the production as director, along with Pati McMahan Sayers, who served as the music director for the New York production; dialect coach Jason Blackwater, who played Moriarty in the Off Broadway production; and Liz Curtis, who is returning to the role of Mrs. Hudson. $15 General ticketing; $12 Valencia students/staff/alumni and seniors.